Check out the Career & Internship Center's Calendar for all upcoming events and workshops! 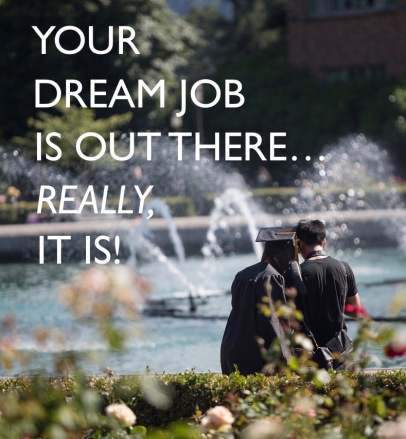 Take a digital look at their Career Guide and see the resources for recent graduates. 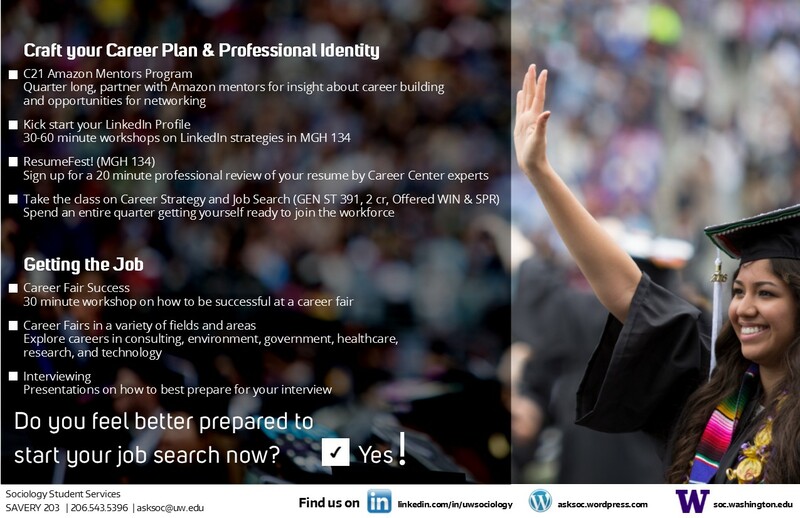 Check out our guide below on how to prepare for the job market and take advantage of career resources while you are still a UW student! perfect start to your career exploration and planning! All of us in the Sociology Student Services office are very excited to be able to offer our majors access to this exclusive workshop! Career Launch is only available to students in a few departments in the College of Arts & Sciences so don’t miss your chance to participate in this great new program! Led by College staff and Departmental Advisors, this 90-minute career workshop is designed specifically for recently declared A&S majors. We will outline career paths you can follow, and help you determine additional steps and strategies you may want to take in order to pursue a fulfilling career with your A&S degree. From learning about internships and building your resume, to networking techniques and exploring the scope of your major, this workshop is a great opportunity for you to get your feet wet and start crafting a career path with your Sociology major.